While feeling down I find it imperative to read books with happy endings. Our lead character in The Readers of Broken Wheel Recommend Sara, believes the same. I liked her from the start. This book is predictable, and some may even call it cliché. I prefer to think that it knows exactly which tropes and expectations we the reader bring to the table and lays them out for us in a pleasingly familiar way. This is my way of saying that this book probably isn’t for you if you like daring creative works of literature. This is a love letter to books like itself, and the characters that we love alone the way. 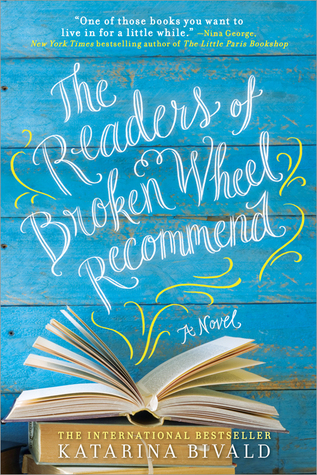 The main character, Sara, travels from Sweden to meet her pen pal, Amy, in a SMALL town, Broken Wheel, in Iowa. If you are unfamiliar with U.S. Geography, it’s in the middle-ish. Anyway, Sara arrives in town in time for Amy’s funeral. Things are not going to plan and the already nervous Sara is pretty shaken and disappointed. The townspeople, in shades of actions to come, convince her to stay and she grows to love Broken Wheel and its way of life and pace, so different form the life she left. While the story starts off slowly (one of our main characters is dead, and we get to know her through her letters to Sara) the setting up of a new bookstore, a well-built love interest, some wacky small town characters (think Stars Hollow or Blue Bell) really had me swooning for the middle of this book. However, the end was full of… hijinks. Serious hijinks. Your mileage may vary. I decided to pick this one up based on NTE’s excellent review from earlier in the year, and like she said “Sara is a true bibliophile. Like calls to like – it’s how Sara and Amy initially bonded, over books – and it’s how the author hooked this book-loving reader/reviewer”. I really liked this one, but it isn’t the same as the love I feel for Tall Pine Polka by Lorna Landvik, and all the cozy feelings I get whenever I reread it. A solid four-star book for me. 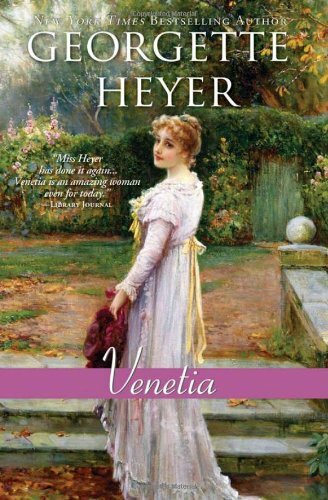 I don’t know if this was the best Kleypas to start off with, my other Romance readers will have to let me know, but I was not overly enraptured with it. There was plenty in this book which had the potential to hook me in, but it felt very by the numbers, even for a book that supposes its turning the tropes on themselves. (I unfortunately have a high bar for that.) Mrs. Julien is going to be so annoyed with me (she rates this book as 5 stars, I’d give it 3.5. It is very obvious why Beth Ellen is her romance twin and not I). Secrets of a Summer Night is the first book of the Wallflowers series and focuses on the passed over debutantes of their season: Annabelle, Evie, Lillian, and Daisy. The four are young women out in society who bond over their mutual rejection by eligible men. After spending time on the side lines of many a ballroom, they decide to make friends with the women next to them and work together to find suitable husbands. First up is Annabelle, 25 and about to be in serious danger of being made into someone’s mistress. Annabelle’s father passed away several years preceding the action of the book, and his minor fortune has not lasted, no matter how carefully Annabelle or her mother have been about their finances. Enter Simon Hunt, who has been highly interested in Annabelle since a chance meeting a few years earlier. Being stuck in the middle class, no matter how rich his financial investments in business have made him, he knows Annabelle won’t marry him and he’s not the marrying sort anyway so he’ll just procure her as a mistress. But Annabelle won’t be anyone’s mistress if she can avoid it, and with the help of her friends she’s using a country house party to ensnare a member of the peerage. Of course things don’t work out that way, this is a romance novel after all, and instead we are treated to some lovely scenes of a headstrong woman and a rake sure that he doesn’t need reforming coming to understand that they do in fact wish to be married to the other. I was… only okay with the book up to that point, no matter how much I enjoyed the characters. I thought the book improved once they were married and the characters had to figure out how to exist in each other’s worlds. I also REALLY liked the other wallflowers and hope to have a better experience as I head through those books soon. Listen friends, I am super late to the Hamilton party (well, by internet standards). I don’t live far from New York, one of my very close friends works in theatre whom I watch the Tonys with every year (eventually), but I don’t get to the theatre much. I was aware of Miranda from In the Heights, before the storm that was Hamilton arrived in 2015, but because it’s still out of reach I hadn’t let myself even listen to the cast album. And then my kryptonite arrived. An annotated (full) libretto with chapters chronicling the history of Alexander Hamilton and the creation of the play, plus insights about the actors – SOLD. And it didn’t hurt that a couple of fellow cannonballers sang the book’s praises. The big boons of this book, to me, were the amazing photos of the production, the inclusion of personal correspondences of Miranda’s, and his annotations and personal recollections, and the general artistic design of the book. It is designed to look like one of the many pamphlets written by Hamilton over the course of his life. This history nerd freaked out. The book tracks the development of Hamilton from concept album idea to fully fleshed out Broadway Musical. It has, for me, just the right amount of information to keep me feeling satisfied as well as still leaving room for more excitement. I have heard tell of this book being difficult to come by, to which I can only hope that your library system is as wonderful as mine and manages to get this book into your hands. And if you haven’t seen it (or just want to watch it again), carpool karaoke with James Corden, Lin-Manuel Miranda, Audra McDonald, Jesse Tyler Ferguson, and Jane Krakowski. I’m going to go back to listening to the cast album. 700 Sundays by Billy Crystal must be an absolutely astounding audio book because I can’t imagine what it must have taken to beat out Bryan Cranston’s reading of Tim O’Brien’s The Things They Carried. I was so convinced it was award worthy that I went looking it up and was sadly disappointed. This audio experience was one of the most affecting I’ve experienced, and Cranston’s work is simply masterful. Tim O’Brien, through the way he weaves his narrative as beautifully read by Cranston (I know I’m going on about it, it was THAT good), tells us the story of the emotional truth of Vietnam. O’Brien covers the territory of his own experience, and also what we ask of soldiers in general during war. But perhaps even more meaningfully, O’Brien is telling to story of how people process the various things we all find ourselves dealing with in our lives – he’s simply using the war as the lens through which to tell his varied stories and observations. I was struck with the craft of O’Brien’s work. The way in which he embraces creative non-fiction to unpack the multiple ideas of truth really spoke to me. The general structure of the book has O’Brien relating one set of events to us, and then in the next section approaching those same events from another angle, telling the reader where he may have lied in order to get at the broader truth, but then progressing the narrative until he finds us at another place where he is telling us the creative non-fiction version of events, and backtracking once again. And the first chapter in the book, the literal things they carried, sets the mood perfectly for what is to follow.